0 Which social media should I use to promote my products? If you run a business of any sort, and particularly if you are a Maker or independent designer, you know that you need to promote your business on social media. Maybe you're already doing it to a certain extent, but you might not be totally sure which social media platforms are best in order to promote your designs and close sales. As social media manager for a number of other brands (and the person who set up MakeTank's social strategy), people often ask me for advice on the matter. The answer is not simple! In this post, I will list a few things to consider before launching into social media, and then describe what each of the major social platforms is best for. This advice is designed specifically for people selling independent design or crafts online. Do you have one hour a day that you can set aside for this task? Before embarking on a professional social media journey keep this in mind: social media is a commitment. Not like a 2-carat-diamond-ring-commitment; more like pre-paying a 10-pack of pilates lessons: you have to show up and do it in a continuous way or you won't see results. If my question about an hour a day scares you, you might not yet be ready for this commitment. What goals do you want to achieve? Once you've got the time issue figured out, the next thing to decide is what you're trying to do with your social strategy. I will assume that you want to drive traffic to your products that are for sale online. But maybe you also want to be noticed by the press, create strategic partnerships or meet new collaborators. 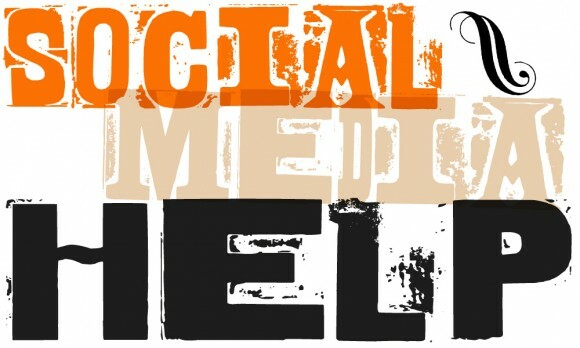 Here's a tip: social just for the purpose of selling is not effective. Use social media share your interests and cultivate connections, and then the sales may come (if you've set up a number of things correctly, like a good product description, price point, photos, etc.). Are you already on Facebook? If you have a personal profile, you already know a bit about the way this network works. Let's quickly distinguish between personal profile - what you have with your own name, and where you ask for friendships which have to be reciprocal - and business page. Facebook pages are what you should use for your business, but then you need to work on getting people to become a 'fan'. If you aren't able to work on building a fan base and regularly updating the page with content, it is going to look lame, so you are better off not having one. However, fan pages have features that profiles don't, like statistics on how many people see your posts, and where your fans are from. While you should never use a personal profile with a business name, there's no reason you can't promote what you do to your friends and clients through your personal profile, with your real name, on Facebook. Just don't overdo it or people will consider you 'spammy'! Build up your role as an expert in design, share pictures of work in progress and finished work, as well as links to where to buy things. You may also consider expanding your friend base to include friends of friends who might be interested in your work - you can always use the 'lists' feature to control who sees what. As you know, there's a ton of social media platforms out there - YouTube, Twitter, Pinterest, Google+ and Instagram are the most important - but do you have to be on all of them? The clear answer is NO: only sign up for those that you can handle updating. Don't forget to connect with MakeTank on social media - we're on every platform mentioned here! If you want a shout out on Twitter from us, just tag us @maketankitaly in your tweets. Write on our wall on Facebook. And you can tag us on all the other networks too, which helps us spot and re-share your content.